The Tampa Bay Technology Forum (TBTF) hosted the seventh annual Tech Jam fundraiser on Thursday, August 7th at the St. Pete Times Forum. It was a huge success and everyone had a great time while raising money for our youth! The ‘Party With A Purpose’ featured live music from Ken Block and Drew Copeland of Sister Hazel, food, beverages and a silent auction. All proceeds from this event fund TBTF Foundation initiatives, which are designed to change the lives of the youth in our community. One such program is the CompuTer-rific program, providing area Boys and Girls Clubs with computers, equipment and technicians to complete state of the art computer labs. 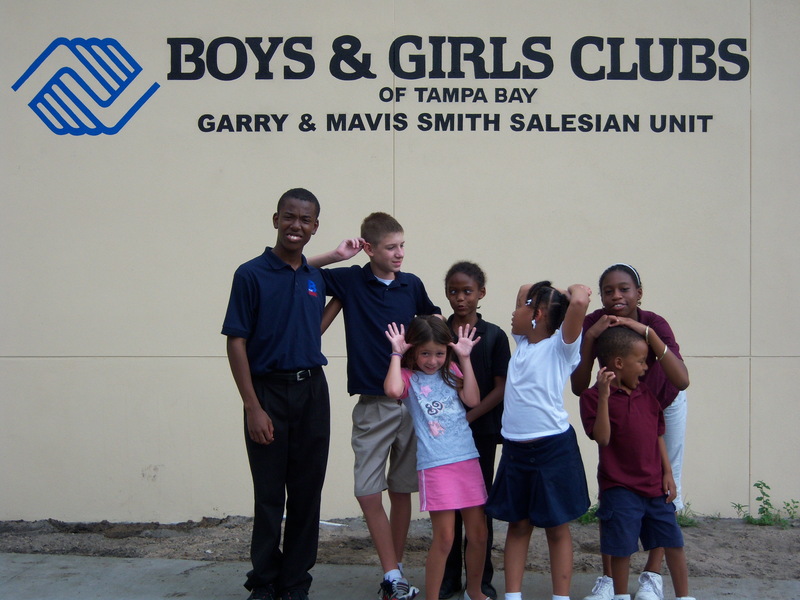 The newest Boys & Girls Club – the Gary & Mavis Smith Salesian Youth Center is now open. The center is located on 142 beautiful acres and has the potential to be the most significant youth development facility in the history of the organization. This new Club will have leading edge technology installed thanks to the employees of Kforce Professional Staffing. For the last 18 months, Kforce has been raising money for the technology center of this Club. They have raised more than $40,000 with their “Jeans Day for Youth” program and implemented all of the technology in the Club. The Club has an impressive technology center with 29 PCs, 7 large screen LCD TVs, and an electronic gaming center including 2 Xbox and 2 Wii systems. The program also funded 12 color security cameras with an advanced video monitoring system. The installation of all of the new technology was accomplished by volunteers from Kforce, Tech Sherpas, and JCP Lock and Security. This unprecedented sponsorship for the technology in this Club will set a new standard for all future Clubs! Special thanks to the following volunteers: Ray Morganti, Kathryn Carlton, Tom Cox, Dave Estel, Ken Gerrace, Joe Finnegan, Tuan Pham, Bill McGuire, Jorge Vera, Jordan Kushner, Andy Hillman, Katy Parsons, Jeff McGuire, and Tony Ruperto who invested more than 500 hours to make this dream a reality.